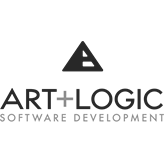 About Art & Logic, Inc.
Art+Logic works on a broad range of projects including mobile, web, audio, imaging, desktop applications and plugins for Win, Mac, and ‘Nix. This is a 100% remote position that can be done from anywhere in the USA or Canada. Our entire development staff works from their homes, interconnected via our workgroup collaboration system. Emphasis on the connected. We live all over North America, but we really work in teams. At this time, we are only looking for independent contractors. Qualifying for work at Art+Logic requires the full completion of our recruiting process, but we think the reward of being part of an elite team doing cutting-edge projects for big name clients is worth it. Full Stack Web Developers working Remotely at Art & Logic, Inc.